Are you curious which are the Most Expensive Toys in the World? If yes, then be prepared to be amazed by their prices, because these are no regular toys. We all used to play with toys when we were kids, but how much money can one spend for a luxurious toy? We are telling you, more than enough, because today we are talking about the most high-priced toys in the world, and they are not cheap at all. So let’s not waste another second and let’s see with what the rich kids play. This is our top most expensive toys in the world. I have to admit, I never had a G.I. Joe Action figure, and at this price, I no longer wonder why. 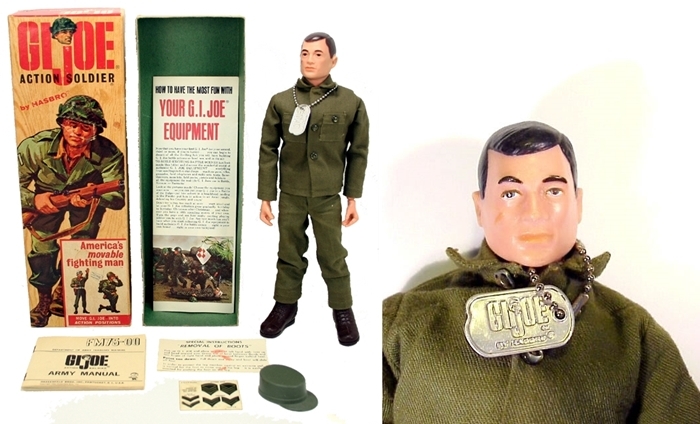 The most popular military-themed toy is an original prototype made in 1963 and was sold at an auction in 2003 for no less than $200.000. The little soldier has 11 and a half inches, with 21 movable parts and is now in Geppi Museum in Maryland. 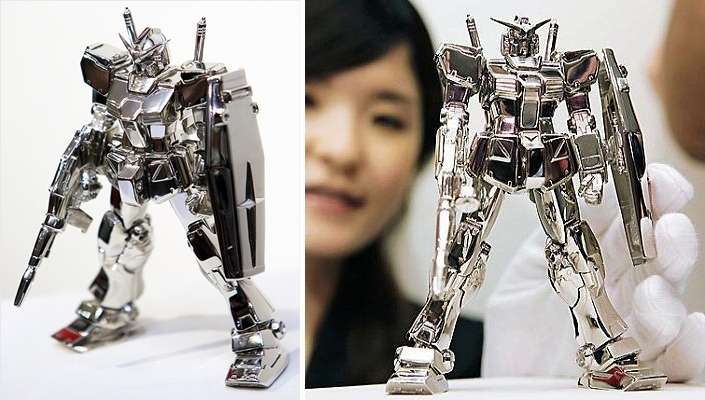 Having only 12.5 centimetres and 1.4 kg, this toy robot costs $250.000 and you can’t even play with it. Wondering why? Because the robot is made only to promote the commercially available versions and it has 89 parts made from 1400 grams of platinum and its eyes are made of 0.15 carat diamond. Which girl has never wished for the perfect doll house? But I am sure no girl has dreamt so big. 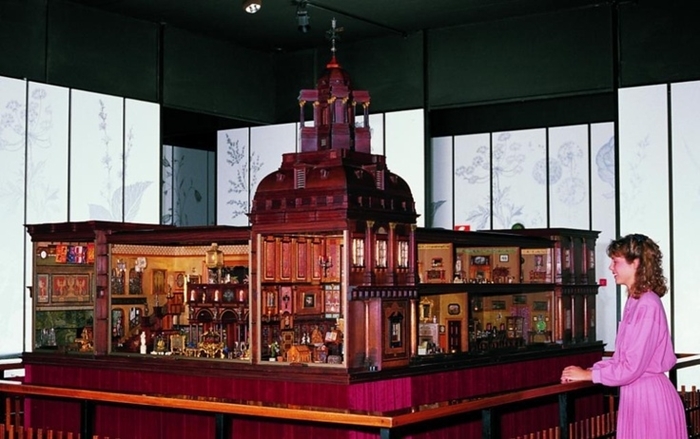 Titania’s Palace, the most expensive doll house in the world, costs $256.500 and has 18 rooms and 3000 miniature pieces. Titania’s Palace was built by Sir Nevile when his daughter asked him to built her a house for the fairies in the garden and it took 15 years to be completed. 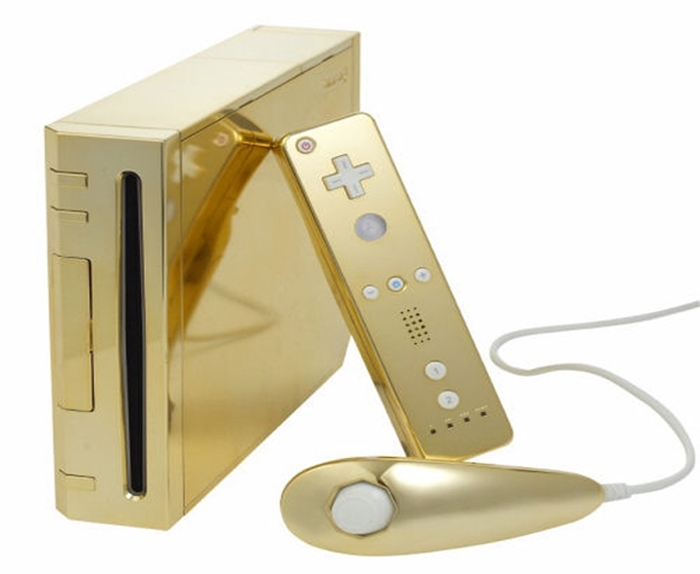 This luxurious Nintendo is gold-coated, weighs 2.5 kilograms and has 22 carat gold. The front buttons have 78 quarter-cut diamonds and its estimated price is of $485.000. The Nintendo was created in 6 months, by Stuart Hughes, the one who created the most expensive iPhone. Another dream toy for the girls is the famous Barbie. 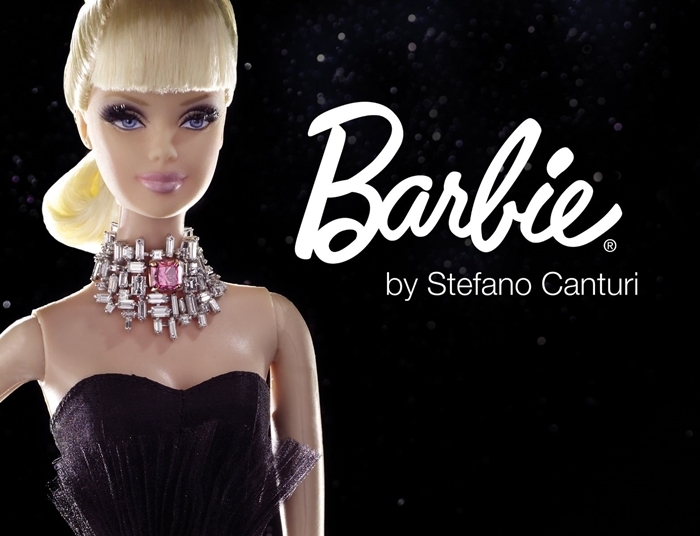 But I am pretty sure your Barbie’s price was far away from the $551.000 Diamond Barbie designed by Stefano Canturi. The doll was sold at an auction for Breast Cancer Research in 2010. The expensive Barbie wears a necklace of 3 carats white diamond and 1 carat of pink diamond and has a beautiful strapless black dress. Well this is one luxurious doll, isn’t it? I have always wanted a rocking horse just the way I saw in movies, but I have never imagined that they would be so pricey. 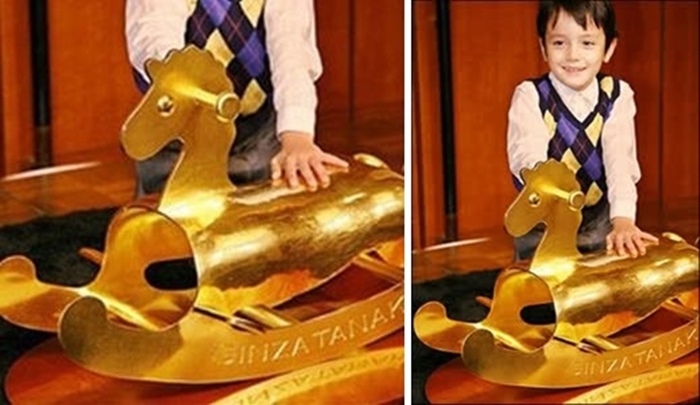 This gold rocking horse costs $1.28 million and is one of the most expensive toys in the world. The rocking horse is hand-made of gold and weighs around 36 kg. Are you a fan of the Rubik Cube? Then forget the cheap ones and be prepared to pay $1.5 million for this glamorous toy. 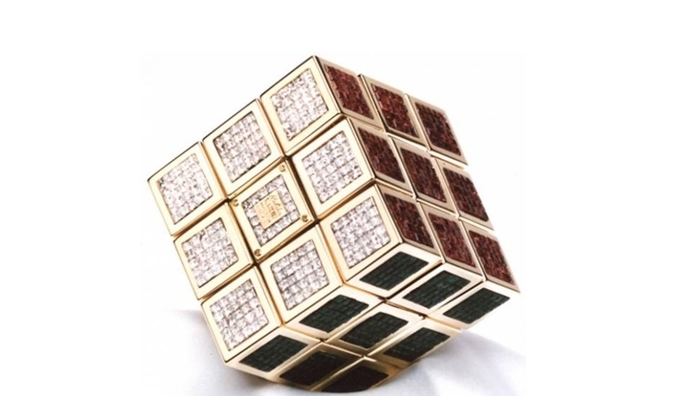 Each side of the cube has 185 carats of precious gems such as amethysts, emeralds and rubies. Its fur has real gold and its eyes are made of sapphires and diamonds, that’s why one of the most expensive toys in the world is this cute teddy bear that costs $2.1 million. 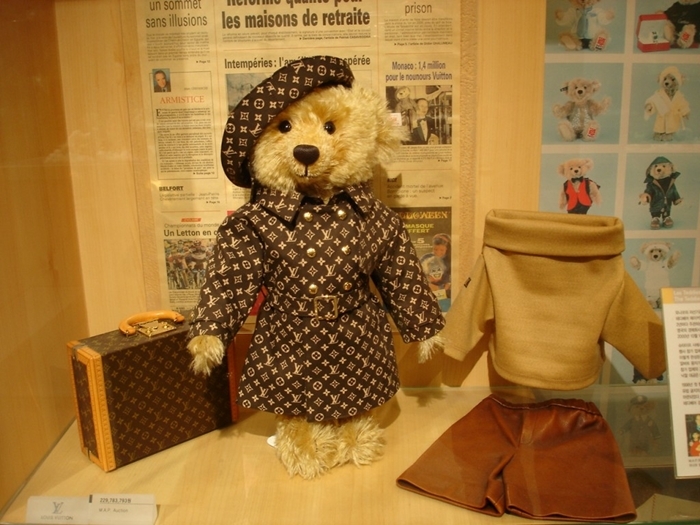 Dressed in Louis Vuitton travel gear and with a gold mouth, the teddy bear was made by the German toy manufacturer Steiff. How much was your soccer ball from your childhood worth? Probably not even $10, but you could play with it at least. 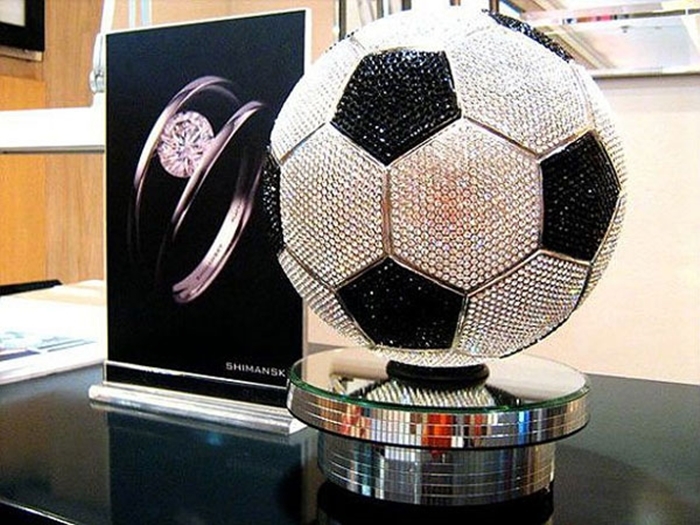 This $2.59 million soccer ball that took 3 months to be created, is made of 2640 black diamonds, 6620 white diamonds and 3500 African diamonds and of course, you cannot kick it. 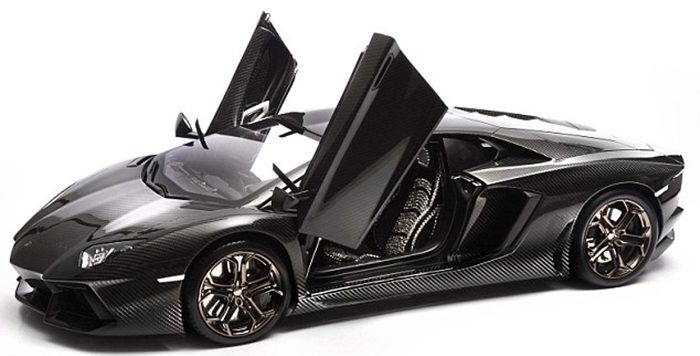 If you cannot afford a real Lamborghini, than you definitely cannot afford this toy. At the outstanding price of $4.8 million, this miniature Lamborghini has platinum rims and diamonds in its seats, steering wheel and headlights and took 500 hours to be completed. So, are you paying more than 10 times the price of a Lamborghini for this toy or are you getting a real car? If you were surprised by the Barbie’s price, this will shock you even more: there is a doll out there that costs $5 million. The Madame Alexander Eloise has 9 carats of diamonds and is hand-made by the doll designer Madame Alexander. The expensive dolls were made in a number of 5, and they wear Christian Dior clothes, Oscar de la Renta fur and Katherine Baumann accessories decorated with Swarovski crystals. And here we are, at the top of our most expensive toys in the world. If you were wondering what can be more expensive than a $5 million doll, don’t be surprised to find out that it is a $6.25 million doll. L’Oiseleur (the bird trainer) measures 4 foot tall and it took more than 15000 hours to be built. 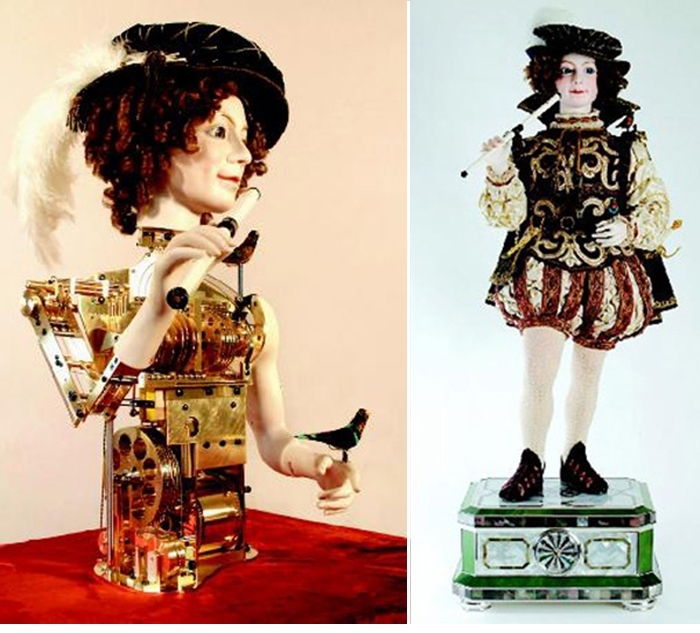 The doll has 2340 polished steel parts and is an automated figure who plays the flute and uses a system of cogs and gears, not needing batteries or motors. L’Oiseleur is dressed in renaissance clothes that have real pearls and gold. So, weren’t these toys luxurious and outstandingly pricey? These were the Most Expensive Toys In The World! What do you think of the toys? Are they worth this much? Let us know your opinion in the comments below and don’t forget to share the article with your friends!